At Duncraig Dental Care, we are general dentists with a special interest in orthodontics. We cater our orthodontic treatment plans to your needs and end goals. No matter why you’re looking for a new smile, we’ll take care of your case with empathy and expertise. 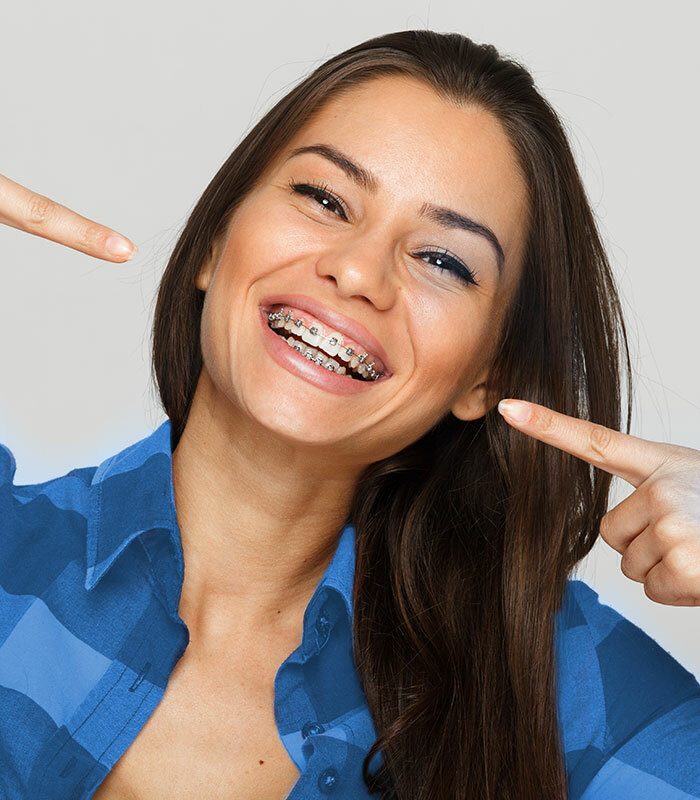 Orthodontics is a field of dentistry that diagnoses, prevents and corrects incorrectly positioned teeth and jaws. My teeth are crowded, crooked, and a major struggle to keep clean. I’m not happy with my current smile. My teeth don’t line up when I chew food. If you relate to any of these statements, you might want to consider meeting one of our dentists. Poorly aligned teeth can lead to jaw joint problems, quickly wearing out your teeth, or even airway problems. Plus, by the end of your treatment, you’ll be ready to show off your smile with pride. What other benefits do orthodontic patients enjoy? Post-treatment, you’ll start to notice how orthodontic care is improving your quality of life. Your new smile will be healthier, straighter, and your facial profile could even change through realignment. Thanks to a solid self-esteem boost, you’ll be able to use your grin to the fullest. Relax, laugh, and enjoy life around your friends and family, without the nagging urge to hide that smile away. At what age should a child receive an orthodontic evaluation? When it comes to orthodontic treatment, we say: “the earlier, the better”. We’re ready to get assessments rolling as early as age seven. This way, our team can identify any issues that might be brewing and create a plan to fix them, before they spiral out of control during adolescence. Our friendly team will assess your child’s’ individual situation, keeping an eye out for poor tongue positioning, tonsil enlargement, or thumb sucking issues. All of these could potentially cause airway problems, jaw imbalance, or crooked teeth in the teenage years and beyond. When you meet us, your dentist will get to know you and your teeth inside out. They’ll take diagnostic records, and discuss with you all the available options to tackle your concerns. After a few weeks, we’ll check back in at a second appointment, present a treatment planning presentation, and discuss your timeline options. If you would like a second opinion with a local specialist orthodontist, just ask – we are more than happy to organise this for you. Right now, you have more options than ever to straighten things out. Our goal is to give you a full, natural smile, through the method that works for you. Our orthodontic options have varying timelines, methods, and visibility levels. Based on your case, our dentist will discuss the options available to you and the results that can be achieved. The Duncraig Dental Care team uses the many treatment modalities like Invisalign aligners, as well as Damon fixed braces, a popular brace system focusing on low force application, to give you the smile you deserve. We can determine what will and won’t work for you – so feel free to ask! The length of treatment involved varies for every patient, and can even be completed in as little as six months.